If you’re looking to quench your thirst or looking for lunch or evening meals with your family, there are some great local pubs near Perran Springs Holiday Park. We have listed seven in particular, so if your are staying with us for a week you can select a different pub each day! Located in the village of St. Newlyn East which is 3.5 miles from Perran Springs, the Pheasant Inn is a refurbished country pub . It has excellent ambiance and you can expect to be greeted with a smile by the friendly staff. Among locals in the area the Pheasant Inn has become a bit of a favorite due to their excellent range of traditional pub grub. Each meal is made to order, and the helpings tend towards generous. As far as drinks go there’s an impressive array of local real ales, alongside ciders, lagers, and a full range of spirits and soft drinks. The Pheasant is a traditional Cornish pub and a little of track to where most holidays makers would think of going, it is still recommended to book a table, but you are more likely to chat to a local than a tourist. The Plume of Feathers is an interesting inn located in the village of Mitchell, about a 10 minute drive from Perran Springs Holiday Park. It is has a unique space that blends the traditional with the contemporary, offering a stylish yet warm environment. The menu offers country pub food – but with a modern twist to each of them. All the meals at the Plume of Feathers are sourced heavily from local ingredients, so you’ll definitely get a good taste of Cornish fare. The Plume of Feathers isn’t the cheapest around, but the food is of high quality and immaculately clean. 2.5 miles from Perran Springs is the picturesque village of Bolingey (close to Perranporth). This pub is within a nice distance if you like walking or bike riding, and the back route takes you down safer, less busy country roads with some nice views. The Bolingey Inn is a picture perfect 17th century traditional Cornish inn. 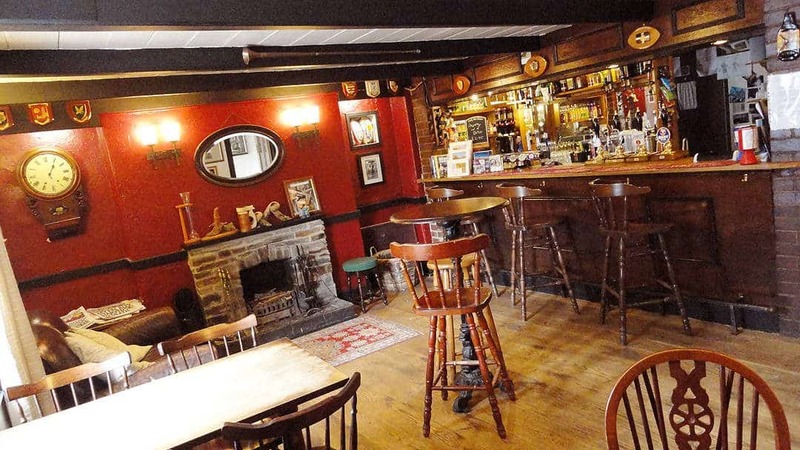 It has a cozy feel and relaxed atmosphere, and is a popular haunt among the locals who enjoy its generous and tasty meals as well as selection of local ales. For delicious food, a good pint of ale and an up-close look at a traditional Cornwall pub – it doesn’t get better than the Bolingey Inn. Just be warned that it can get crowded as the pub is fairly small, and booking in advance would be advisable. As one of the oldest pubs in Cornwall, the Hawkins Arms has a storied history as a coaching inn – as it is situated on what used to be the old highway between London and Land’s End. Its location in the village of Zelah places it really close to the Perran Springs Holiday Park and you could get there in under five minutes by car. Overall the Hawkins Arms is a relaxed, family-friendly and homely pub that has a particularly good selection of local real ales. It is a CAMRA-accredited ‘Free House’, and so you can rest assured that you’ll be getting a real taste of what Cornwall’s local ales are like. In contrast to most other pubs, the Hawkins Arms has resisted the urge to modernize, so don’t expect to catch a game on the TV or listen to a jukebox. Instead, you’ll get a real taste of Cornwall’s food and drink. The Watering Hole boasts of being the UK’s only bar that is located right on a beach – Perranporth Beach is one of the finest beaches in Cornwall and only a 5 minute drive from Perran Springs. The view from the Watering Hole is scenic to say the least, especially when the sea itself is in fine form with swells coming in. A one minute drive or ten minute walk away from Perran Springs Holiday Park is the New Inn. Despite its name the original building is over 300 years old, although a recent refurbishment had put a modern feel to the inside. There are lots of stories about the New Inn and its history, including speculation that it was once an old hunting lodge or coaching inn. The locals feel that the oldest parts of the building are haunted, and have stories of strange occurrences to back their claims. While you may not encounter any ghosts yourself, the New Inn is a convenient pub to drink or dine on some of fresh Cornish food. Right in the heart of Perranporth, the Tywarnhayle Inn, about a 5 minute drive from Perran Springs Holiday Park. It is known for its truly excellent food that includes traditional Cornish fare, a carvery, grill, and more. Not only is the Tywarnhayle dog-friendly, but they’ll actually cater to your canine companion with treats. While your pet indulges, you can sample their variety of local real ales, or some of the other entertainment options that are available. If you want a bite to eat and quench your thirst after a day exploring the coast or spending time on the beach, it will definitely not disappoint. There are lots of excellent local pubs near our campsite, and if anything you’ll be spoilt for choice. Hopefully you now have some idea of what to expect, and maybe have earmarked one or two that you definitely want to visit. There are many other pubs also in the area which you’ll pass by during your stay with us.